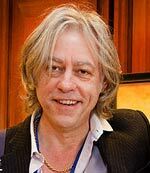 Bob Geldof is a singer and musician who achieve success with the group “Boomtown Rats” and has become a leading figurehead in promoting charitable events and debt relief for the developing world and Africa in particular. Geldof was born in Ireland in 1951. He was educated at a private Catholic school, though he later said he didn’t enjoy his time there because of its Catholic ethos and bullying for his lack of rugby prowess. After leaving school, he gained certain odd jobs but was not inspired by any of them. He then went to Canada to work as a music journalist. In 1975, Bob Geldof became the lead singer of the Boomtown rats a punk rock band. He famously stated the reason for joining a pop band. By 1978, they had achieved their first UK hit single ‘Rat Trap’ and later achieved a second hit with ‘I Don’t like Mondays’. In 1981, Bob Geldof was invited to take part in a concert for Amnesty International and this sowed a seed of future ideas for Bob. It was in 1984, that Bob moved from being a rock star to international celebrity for raising awareness of humanitarian charities. In 1984, Ethiopia and other African countries experienced a severe famine which led to many thousands of people starving to death. The plight of starving children was widely seen on TV. Bob Geldof with Midge Ure decided to do something about it – releasing the single – “Do they Know its Christmas Time”. It was a spontaneous event with many of the best-known names in pop music invited. It became an instant best seller selling a record 3 million copies. In the summer of 1985, Bob Geldof was one of the main organisers behind the Live Aid Concert at Wembley. It was a sixteen-hour rock extravaganza aimed at raising money and awareness for Africa. It was a unique musical event capturing the imagination and attention of the world. Following this concert, he became more involved in work for non-governmental organisations in Africa, and became one of the leading spokespeople on Third World debt relief. In 2005, he organised a Live 8 concert, coinciding with the ‘Make Poverty History’ campaign. He sought the co-operation of leading G8 leaders such as Tony Blair to write off third world debt. Some criticised him for becoming too close to politicians and some have argued his presence in the third world campaign issue does more harm than good. He was married to Paula Yates, though they later split up. He has been a strong advocate of father’s rights ultimately gaining control for his three children with Paula Yates, and a child Paula Yates had with Michael Hutchinson of INXS. Citation: Pettinger, Tejvan. 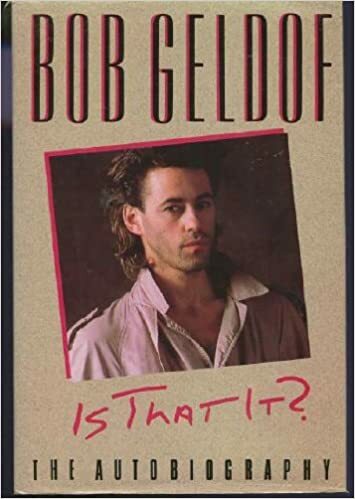 “Bob Geldof Biography”, Oxford, www.biographyonline.net, 11th Feb 2008. Updated 10 February 2011.